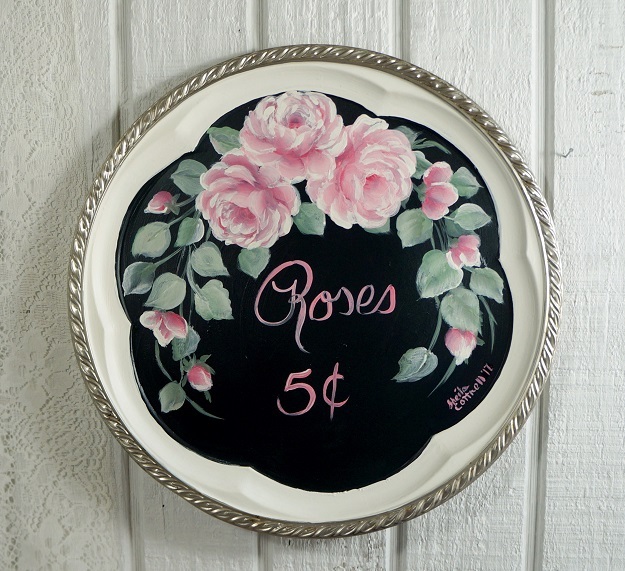 Pretty hand painted shabby vintage silver/tin tray. So cottage chic. 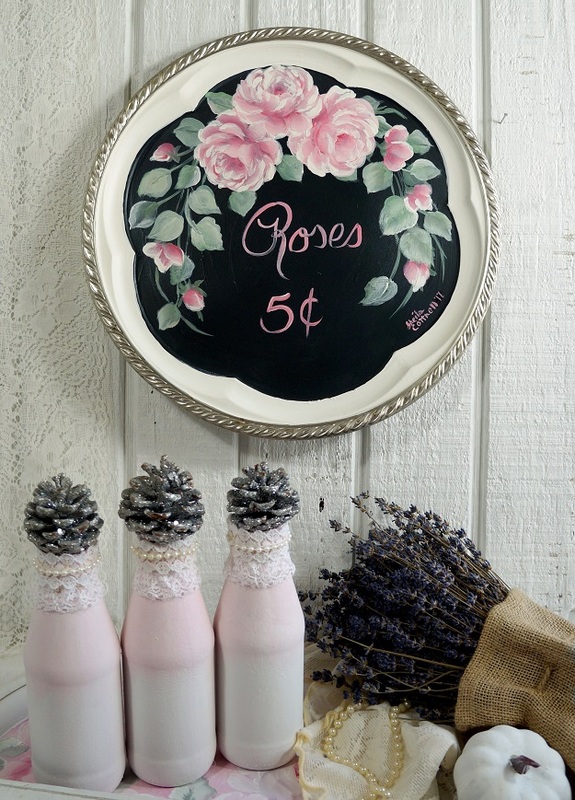 Painted black with sweet pink roses, buds and green foliage. 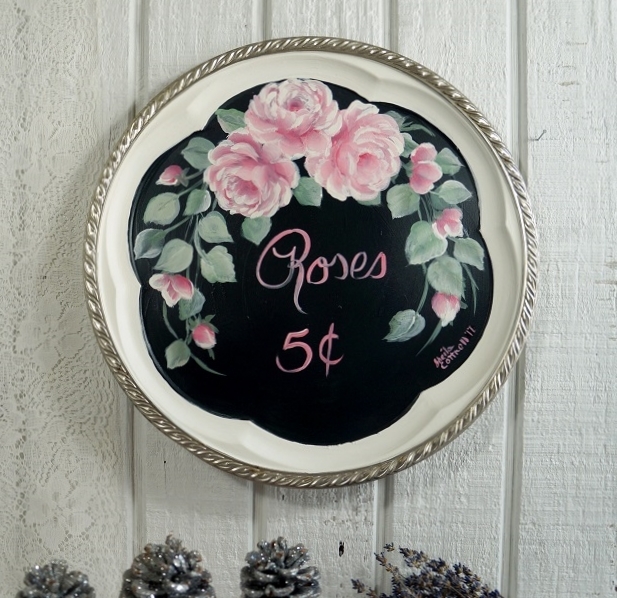 Add a warm vintage touch to any home decor.